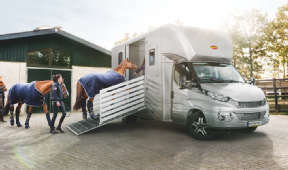 Böckmann Fahrzeugwerke GmbH has been developing horse trailers and truck superstructures of the highest quality since 1956. Handmade in Germany! You can rely on quality workmanship from top to bottom. 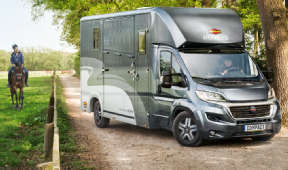 Each individual horse truck is manufactured just for you – with a consistently high level of quality down to the smallest detail. A product needs to be good enough to meet our own requirements and those of our horses before it enters serial production. 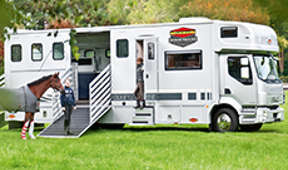 With our many years of experience in equestrian sport we have the same aims as all riders - the well-being of horses! Well worth a visit - the 3000 m2 Böckmann Truck Center in Lastrup, where you will also find inexpensive second-hand vehicles alongside our new models. Come and see the unique range of individual options yourself. 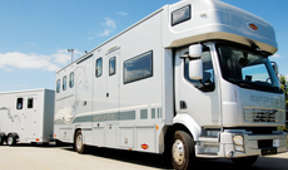 Our competent team of specialists is always at your disposal.